Though Smartphones with big screens are the hot market trends at the moment, smartwatches with smart technologies have started to fill in the market that would be a companion to your Smartphones and make your work even smarter and precise. Apart from the big companies like Samsung and Sony plunging into the Smartwatch realm, MyKronoz with their ZeWatch that is just under £60 has made a similar effort. The MyKronoz ZeWatch Smartwatch uses Bluetooth to connect to your Smartphones, tablets or other compatible devices and aims at keeping you up-to-date with all your important notifications and messages. Besides, it can let you receive/reject calls with buttons found on the side of the device. Moreover, it shows time that is its primary objective. Though we live in a technologically advanced age, people are not really demanding Smartwatches at the moment; can the offerings from ZeWatch be enough to push more people towards its use? Let’s find out in our in-depth review. The device is available in variety of colors but most would prefer the black version as the other ones look like a kid’s toy. However, the rubber strap feels nice in the hand and the build quality is decent enough. The front of the device houses the screen along with a microphone and speaker grill. The left side of the device features a green button to answer calls and a red one on the right to reject them. A charging port is placed on the backside of the watch and is charged by a travel adapter and USB cable that comes in the box. 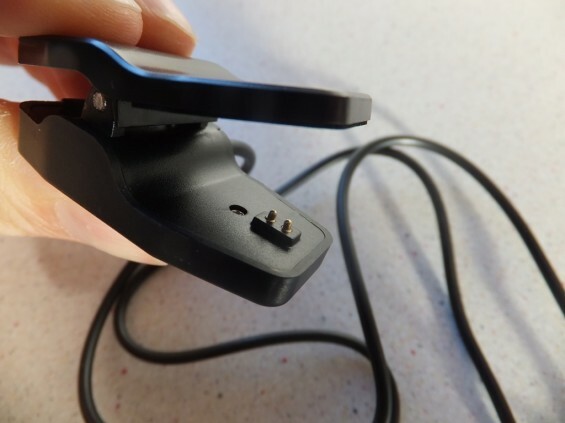 The adapter, much like a clip will have to be placed on the rear and unfortunately, the device is not compatible with USB charging. 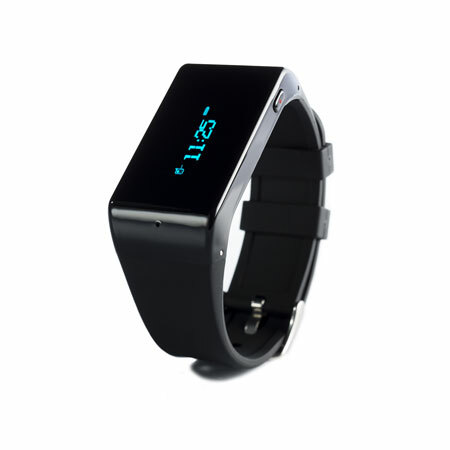 The ZeWatch features a 128 * 32 OLED display, which is relatively poor in comparison to Samsung Galaxy Gear and Sony’s SmartWatch 2. But you can’t expect the same level of quality in this price that the former two provides. The outdoor visibility of the screen is quite low and for a device that is made for outdoor use, this is not an excuse. Nevertheless, adopting the OLED technology provides wide range of colors with saturated tone. 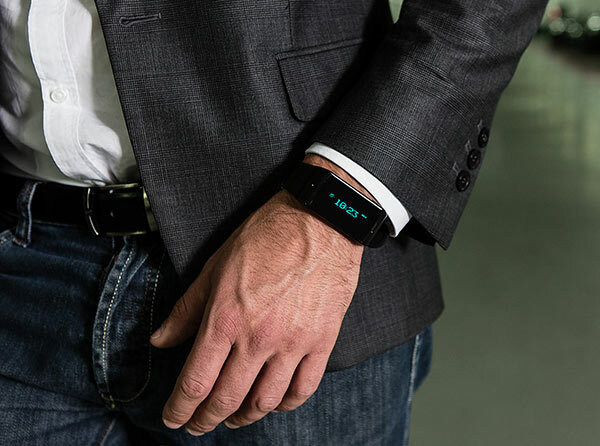 A small Li-ion 150mAh battery provides life to the ZeWatch. Due to its small capacity, it can only 2-3 hours of talk time before it requires charging again. 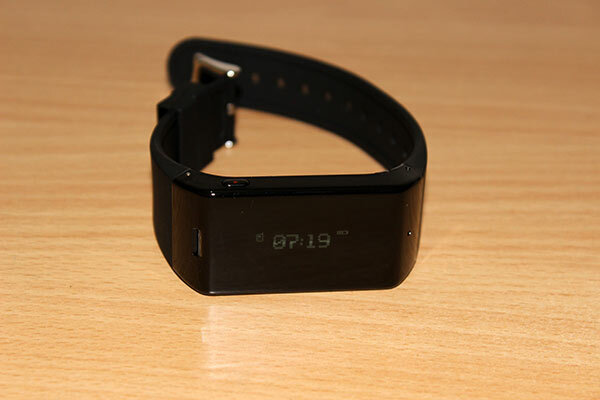 However, the watch can last up to 48 hours in standby. Smartwatches for now are a niche product and it might take a while to penetrate into the mass audience. Though none of us really need a smartwatch, it’s just a matter of preference and a whole lot of extra cash to spare. While using the device in real life, the ZeWatch wasn’t really a great accessory to own. It requires a wake button to be pressed just to show the time that is not ideal if your hands are busy. Though the music playback feature is impressive, the sound quality is quite underwhelming. The sound contains high distortion while bass is out of question. Not all of us can afford the Galaxy Gear or the Sony SmartWatch 2 and they aren’t without flaws either. The offering made by MyKronoz for £59.99 gets the job done to some extent, but it still has a lot of way to go in order to capitalize some market share. The functionality needs improvements and so does the display as well as speakers.